A New Turn in US-Zimbabwe Relations? There is an old saying That the More Things Change the More They Stay the Same. Recently a New United States Ambassador Presented His Credentials to the Government of Zimbabwe. The Zimbabweans Hope that this will usher in a New Era of relations between Harare and Washington. But will it Happen? Since the Controversial Elections in 2000 and More Specifically 2002 the Relations between the US and Zimbabwe have been Frosty. The United States placed Targeted Sanctions against Members of the Ruling ZANU-PF. (Zimbabwe African National Union-Patriotic Front)and Congress Passed the Zimbabwe Democracy and Economic Recovery Act of 2001. The Act which was passed would have Provided for US Economic Assistance in exchange for Improvement in Human Rights. Sadly this did not take place. The Ambassadorship of Christopher Dell was one of great tumult. Mr. Dell was at every Court Hearing of the Senior Leadership of the Opposition. He was accosted one night by Members of the Zimbabwean Police. During that incident the Ambassador was almost shot. The Zimbabwean Government was adamant in his removal. 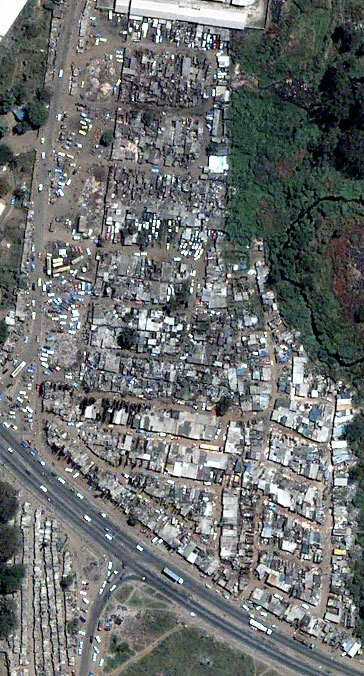 This is an overhead view of the Zimbabwean Capital of Harare. The US has a New Ambassador Here will it make a Difference? After Presenting His Credentials to President Mugabe the New US Ambassador James McGee met the Zimbabwean Media. Mr. McGee stated that he was not there "To Put His Finger in the Eye of the Government." But he also stated he will not stand by and not Comment on Human Rights Abuses. Mugabe expects that He can Mend Fences when the Sanctions are lifted. So it appears that the Statement is true. A Change in Ambassadors will not bring a Change in Attitude.